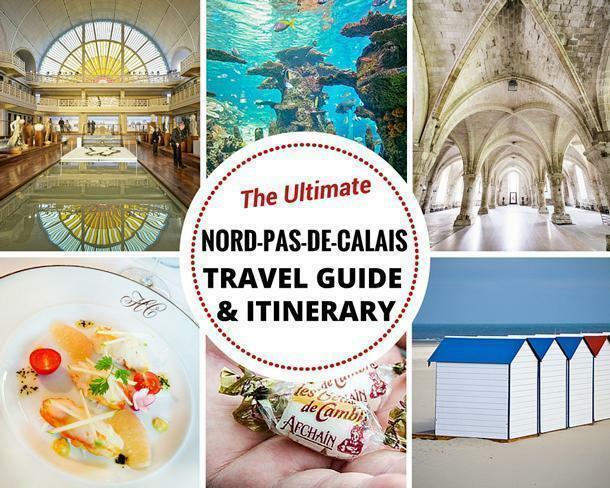 We share our ultimate guide to travel to and in Nord-Pas-de-Calais so you have all the information you need to plan your travel to this region of Northern France. Nord-Pas-de-Calais is one of the most under-rated regions of France. Folks often pass through on their way to and from Brussels, Paris, or the Channel ferry without pausing to give it the recognition it deserves. Despite this, there is plenty to see and do in Nord-Pas-de-Calais for slow travellers, weekenders, and foodies alike. From the battlefields of the Somme to the pristine beaches of the Opal Coast to the art and culture of Lille, Nord-Pas-de-Calais should definitely be on your France bucket list. This is our ultimate slow travel guide to Nord-Pas-de-Calais. Use it to inspire your visit to this lesser-known but exciting part of France. At the end, we even include a 9-day itinerary to help you make the most of your time in Nord-Pas-de-Calais. Let’s go! 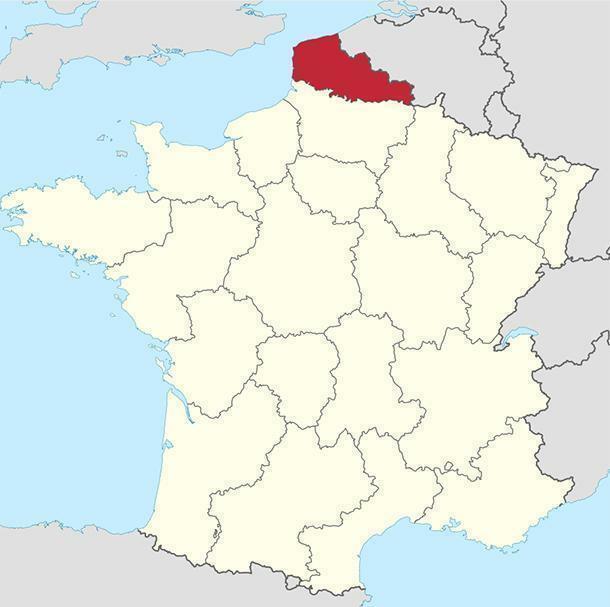 Up until January 1st, 2016, Nord-Pas-de-Calais was a region of France in its own right; a joining of the country’s Nord and Pas-de-Calais departments. 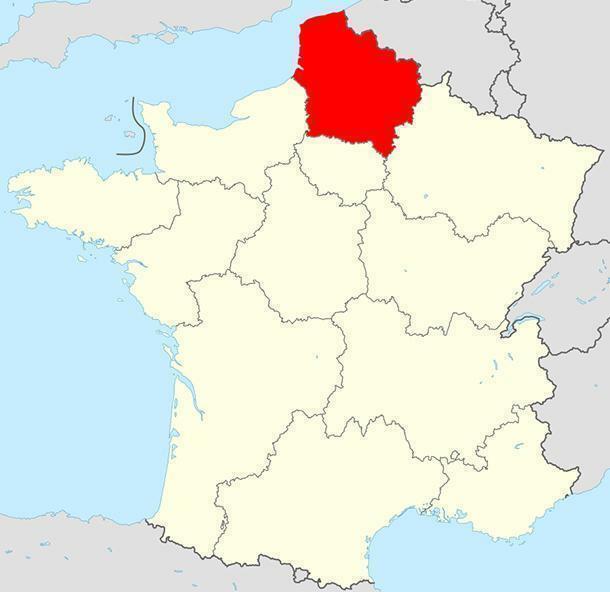 Now it is joined with Picardie to form Nord-Pas-de-Calais-Picardie (Rolls off the tongue right? New names will be assigned to France’s new uber-regions later in 2016). The region is on France’s Atlantic coast with Belgium to the north, Ile-de-France to the south, Normandy to the southwest, and (new uber-region) Alsace-Champagne-Ardenne-Lorraine to the southeast. Like all of France, French is the only official language. However, because of its proximity to Belgium and the UK (via ferry and Channel Tunnel), English is more widely spoken here than some other parts of the country. Of course, your results will vary based how urbanised the part of Nord-Pas-de-Calais you’re visiting is. You’ll also find a strong Dutch/Flemish character in parts of Nord-Pas-de-Calais in the architecture, cuisine, and even in the language. As mentioned in the intro, Nord-Pas-de-Calais has something for just about everyone. Lille is a major urban centre with both historic and modern areas. 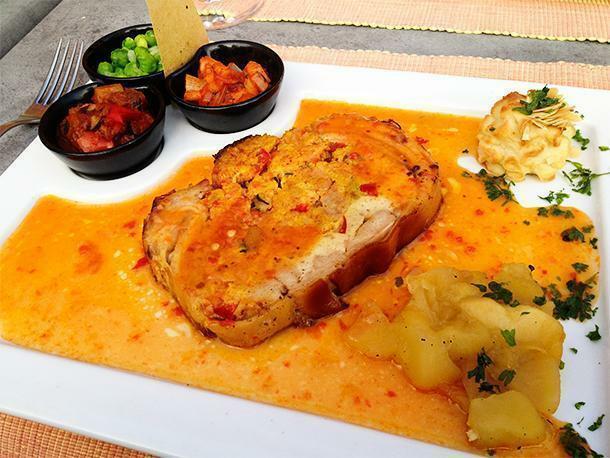 It’s a fantastic destination for foodies and culture buffs. Nature-lovers will also find plenty to do in the region, from exploring the white sand beaches to biodiverse marshes and forests. There are family-friendly activities like the NAUSICAA aquarium and a sweeping history from roman ruins to the remains of the world wars. There are art galleries and museums both big and small and the people are friendly and hospitable. This really is a prime slow travel destination as it is not on the package tourist radar and the attractions feel local and undiscovered. It’s hard to think of anyone who couldn’t find something to enjoy in Nord-Pas-de-Calais. However, if you are looking for perpetually sunny skies or theme-park-style attractions, Nord-Pas-de-Calais is probably not the best choice. Given its position between the major centres of Brussels and Paris, Nord-Pas-de-Calais is easily accessible by just about all forms of transportation. By Car: Nord-Pas-de-Calais is well-connected by roads and, arguably, the easiest way to explore the area is by car. As many of the destinations are more rural, driving your own vehicle offers the most flexibility and convenience. You can even bring your own vehicle to France from the UK either by ferry (see below) or via the Euro Tunnel. Here, you drive your car onto a train and remain in your car while the train makes the journey through the tunnel. We’ve done this trip multiple times and nothing beats the speed and convenience of travelling across the Channel in this way. By Train: Nord-Pas-de-Calais is also well connected by train. Lille, in particular, is a hub for rail within the region from around France via TGV and also is a stopping point for major European rail lines like Eurostar (from London) and Thalys (From Paris, Brussels, and Amsterdam). Other hubs within the region include Dunkirk, Calais, Boulogne, Le Touquet, Arras, Douai, Valenciennes, and Cambrai, among others. 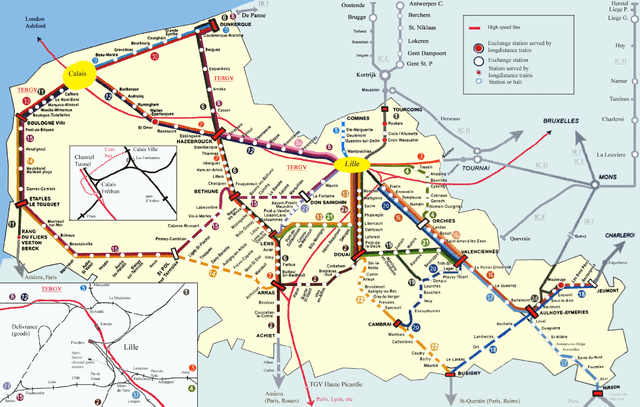 An overview of rail lines in Nord-Pas-de-Calais. By Bus: Similarly, Nord-Pas-de-Calais is well serviced by bus routes, including buses on major European routes. We travelled from Brussels to Lille on iDBUS (now called OuiBus) and service was quick and comfortable. OuiBus now offers service to Lille from Paris (centre and airport), Amiens, Brussels, Antwerp, Amsterdam, Rotterdam, and London. By Ferry: If you are visiting Nord-Pas-de-Calais from the UK an alternative to the Channel Tunnel is the ferry. The ferry runs from Dover to Calais and is operated by P&O Ferries. The ferry trip takes 90 minutes and on clear days provides great views of the white cliffs of Dover. By Airplane: Arriving in Nord-Pas-de-Calais by air is the least convenient transportation option. There is only one airport of any size in the region, Lille-Lesquin Airport. Scheduled flights are available from Biarritz, Marseilles, and multiple locations in Corsica, as well as Geneva, Djerba, and several destinations each in Greece, Portugal, and Morocco. There are two small airports on the coast. Le Touquet airport only offers regular flights via Lydd Air in Kent, UK. The Calais-Dunkerque Airport only services freight and charter flights. Besides Lille Airport, the closest airport of any size is actually Brussels South Charleroi, 100km from Lille. Our best hotel stay in Nord-Pas-de-Calais was at the Hotel Chateau Cléry, just outside of Boulogne-sur-Mer. 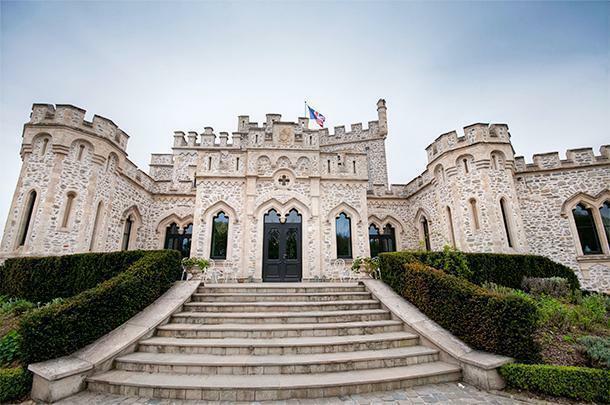 This stunning former manor house has spacious rooms, grand common areas and a fantastic fine-dining restaurant, worth the trip in and of itself. While exploring the eastern side of the region, we stayed at the Chateau de la Motte, located in the tranquil, pastoral l’Avesnois National Park. Our room was small, basic, and honestly, a bit dated but it did the trick. The star of the show here was the restaurant. We had booked the ‘Soirée Gastronomique,’ which included our room for the night, our breakfasts, and a 4-course ‘menu du Terroir.’ The food was exceptional, with service to match. In Lille, we chose the Crowne Plaza – Euralille, located just across the street from the international train station. The rooms are modern and spacious and the hotel has everything you would expect from a high-end chain. The selling feature here is location, location, location, as you can stumble off your train or bus and be in your room in minutes. Beer: The most well-known beers from the region are the bières de garde, like Ch’ti. The region is also home to the first official Trappist beer in France, Mont des Cats. 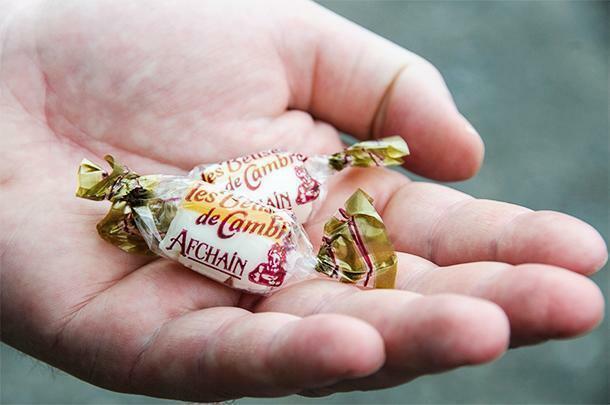 Due to the production of sugar beets, Nord-Pas-de-Calais is also known for its candies. Our favourites are the Bêtises de Cambrai. 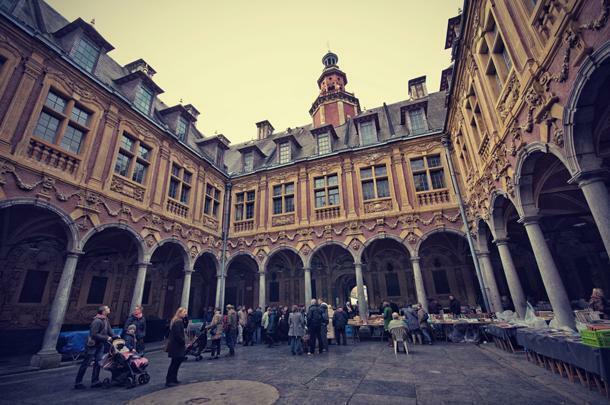 If you love great food, your first stop in the area should be Lille, a true foodie city with a full spectrum of restaurants, gourmet shops, and a fantastic farmer’s market. Read our article for our top foodie finds in Lille. Even if you don’t stay at the Hotel Chateau Cléry, near Boulogne (and you really should) don’t miss its restaurant, Le Berthier. The fine-dining Menu Dégustation is exceptional. 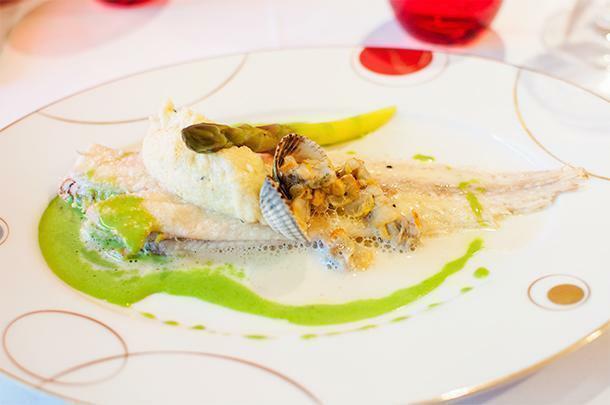 For Michelin-starred fine-dining, La Matelot, in Boulogne-Sur-Mer is a must. 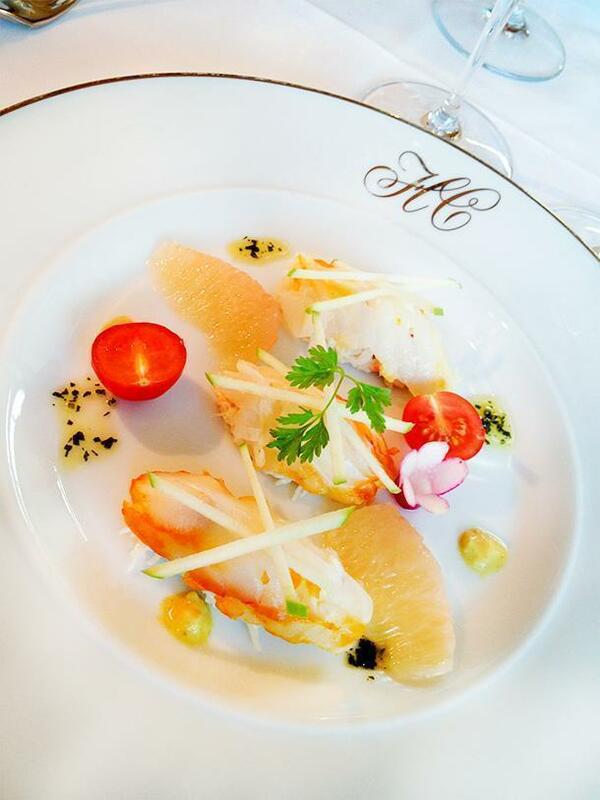 Seafood is the star of the show and each course is well thought out and beautifully presented. For a more casual seafood feast, order the seafood platter at La Marie Galante in the village of Audresselles. As mentioned above, the gastronomic menu at Chateau de la Motte is also a fantastic value. Need more inspiration? Check out the restaurant suggestions for Nord-Pas-de-Calais on the Fork.be. Just type the city name into the search bar. You can even book a table online. For us, the best souvenirs are always edible ones and this is true for Nord-Pas-de-Calais. To be sure you’re getting authentic regional products you can discover shops around the region on the Produits Regionaux Nord-Pas-de-Calais website. 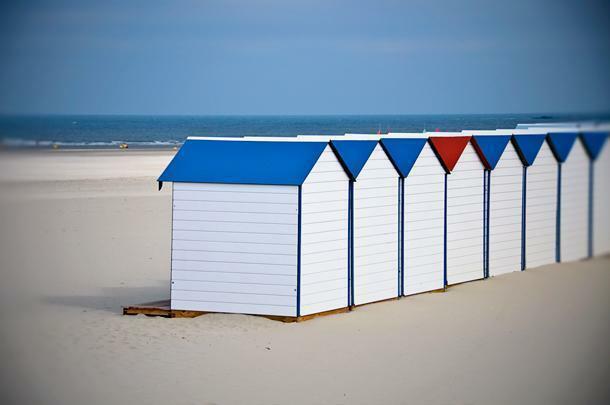 As Nord-Pas-de-Calais has the typical Northern European climate: cool, wet, and unpredictable. Add to this weather the coastal influence and all you can be certain of is a mixed bag of weather. If you plan to spend a lot of time outdoors, layers are essential and rain-gear is highly recommended. This is not to say you won’t experience any good weather – but you may also get rain, hail, and/or high winds on the same day. Top 10 lists are always subjective and ours is no exception. We certainly haven’t been to every tourist site in Nord-Pas-de-Calais so we can only share our own experiences. As such, here is our personal top 10 in no particular order. For more detail on individual sites follow the links to our expanded articles. 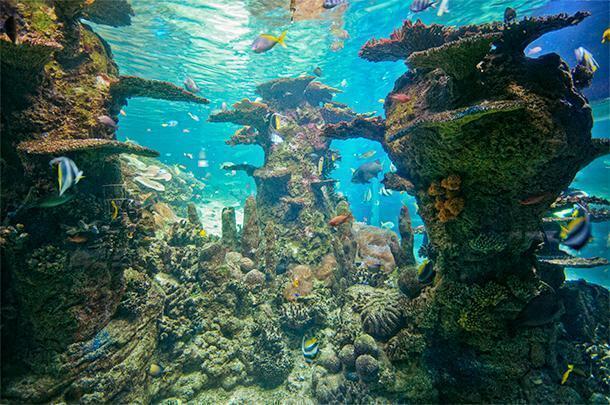 Nausicaa Aquarium, Boulogne-sur-Mer – France’s largest aquarium, Nausicaa was named the first Centre of Excellence by UNESCO’s Intergovernmental Oceanographic Commission (or IOC). 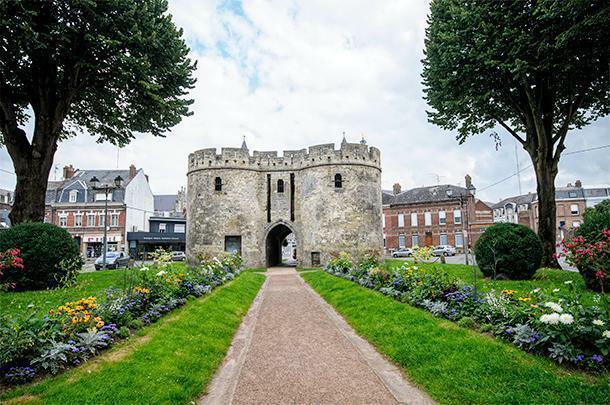 It is Northern France’s most popular cultural attraction and one of the top tourist sites in the country – and it’s only two hours from Brussels by car. 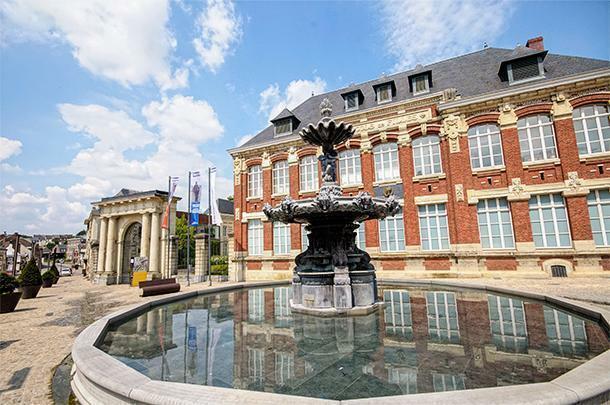 Veille Ville, Lille – There is plenty to see and do in the region’s capital city, from discovering the beautiful historic architecture to indulging in gourmet foodie heaven. 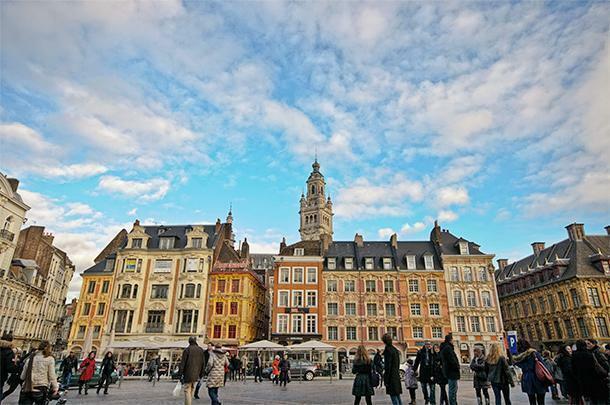 Lille’s Old Town centre is the perfect base for your discovery of the region. The Chateau de Hardelot, Condette – This English-style castle stands as a testament to the friendship between France and England. It provides a fascinating look at the history between these two countries, separated by the English Channel. Roman Archeological Museum and Bavay Forum, Bavay – While much is made of the Roman ruins in the south of France, few people know of the important Roman remains in Northern France (and Belgium). 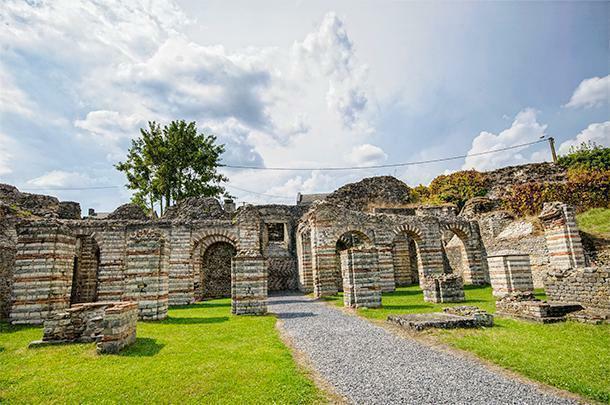 While little remains of the Roman architecture of Bavay, an excellent archeological museum tells the story of Roman influence on the region. Musée Départemental Henri Matisse, Le Cateau-Cambrésis – While there are a number of excellent art galleries in the region, this one tops our list purely because it is so unknown. Matisse, himself, founded this little museum in his hometown and it contains the third largest collection of his works. Vimy Ridge, Vimy – While there are a number of important war memorial sites to visit in Northern France, for us, Vimy Ridge is the most powerful. This tribute to the Canadians who died during WWI is a monument, museum, and interpretive centre. The imposing monument can be seen for miles around and is a heart-wrenching reminder of the cost of war. 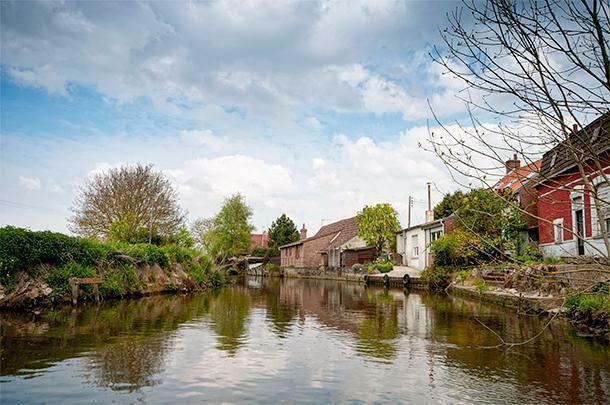 Audomarois Marsh Tour, Clairmarais – Although Nord-Pas-de-Calais is known for its Atlantic coast, the marshes of the interior are no less important from a biodiversity standpoint. A guided boat tour into these marshes presents a unique and threatened way of life. La Piscine, Roubaix – Art and Industry are often at odds, but not at La Piscine, a gallery dedicated to both, just outside Lille. The Art Deco building, a former municipal pool, is as stunning as the collection of artworks it contains. 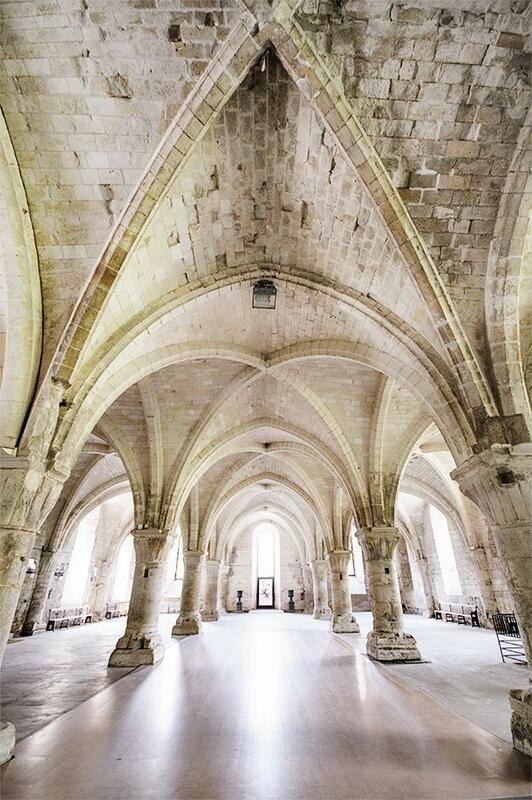 Abbaye de Vaucelles, Les Rues-des-Vignes – This beautiful abbey is at the top of our ‘off-the-beaten-path’ destinations list. The stunning vaulted architecture of the Scriptorium and the beautiful rose and herb gardens make it a lovely and tranquil detour. Historic Centre, Cambrai – For a fascinating historic walking tour, Cambrai tops the list. 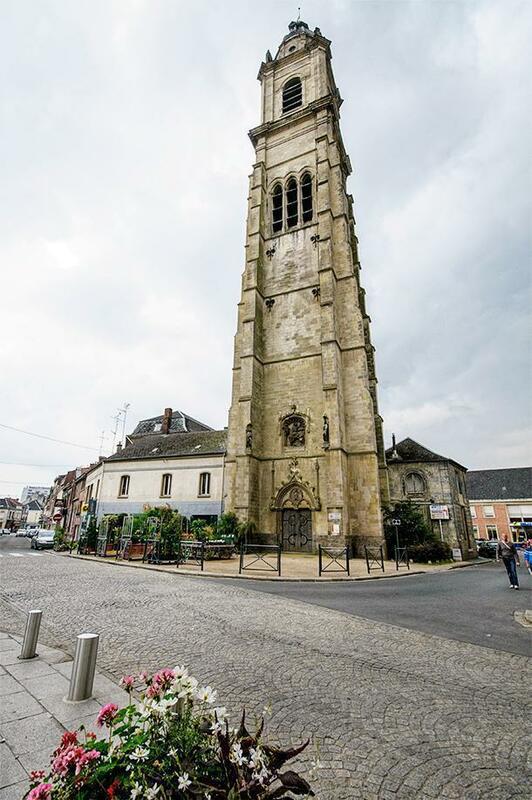 The architecture is varied and beautiful and includes a UNESCO-listed Belfry and several dramatic churches. Nord-Pas-de-Calais has one UNESCO site of its own, the Nord-Pas de Calais Mining Basin, and a number of sites shared with other regions and countries. Belfries of Belgium and France – There are 17 belfries in Nord-Pas-de-Calais on the UNESCO list. Find them all here. Because we were based in Brussels, we visited Nord-Pas-de-Calais in a series of short trips. However, if you have more time, you can see much of the area in one go. 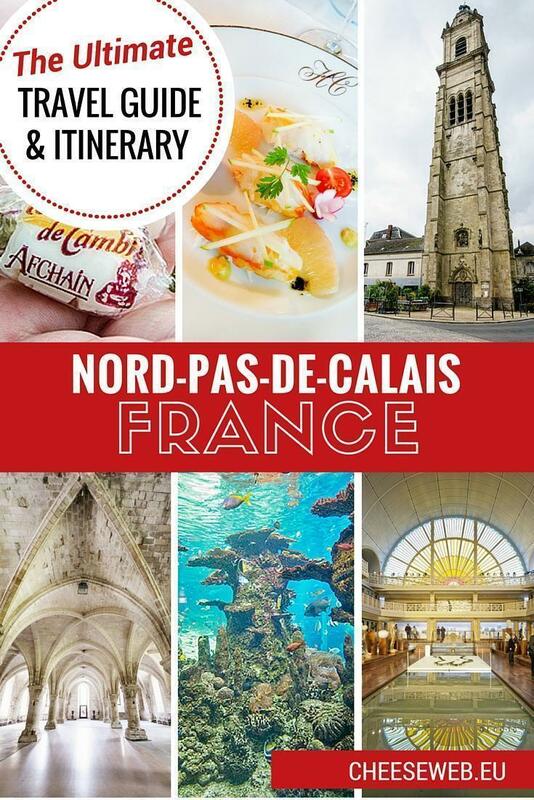 Below is a sample itinerary combining our favourite activities in Nord-Pas-de-Calais with a few extra bonuses, depending on your preferences. It’s created in a loop, so you can begin the itinerary wherever makes sense for you. 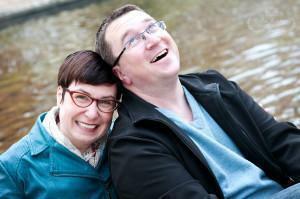 I’ve also shown how you can create several smaller itineraries as we did. Here is a map of the route with the main stopping points. You can click to open a larger view. 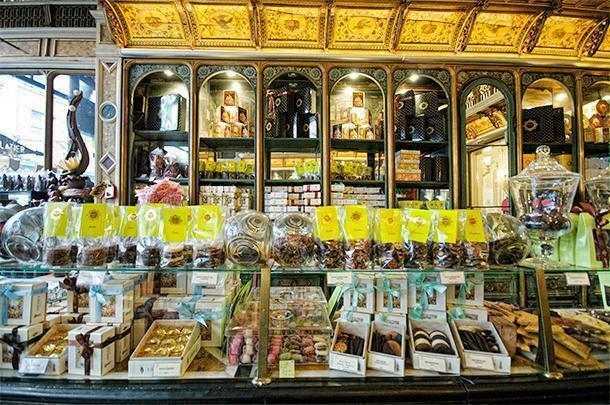 Wander the Old Town and discover the incredible foodie shops. 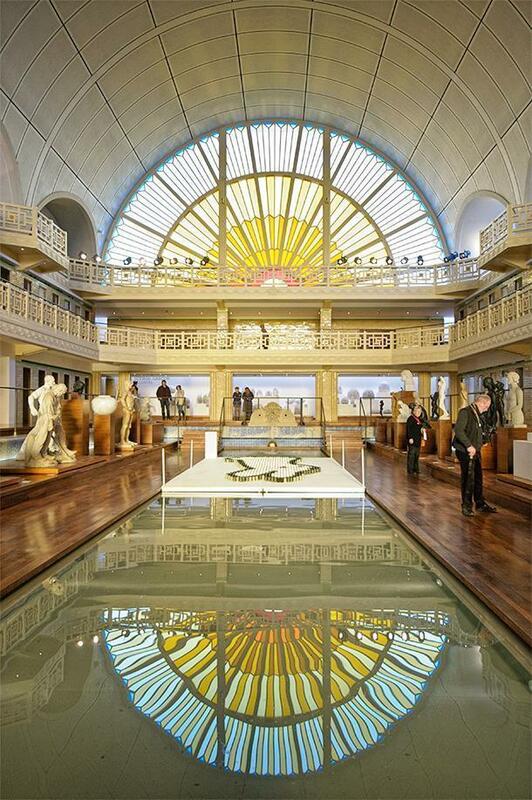 Take the metro to Roubaix to visit La Piscine Art and Industry Museum. 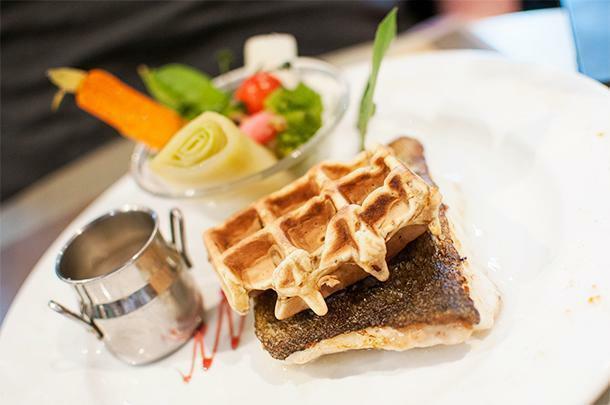 Don’t forget to sample from the best of Lille’s restaurant scene. You’ll be spoiled for choice. Drive from Lille to Clairmarais (1h) to tour the Audomarois Marsh. 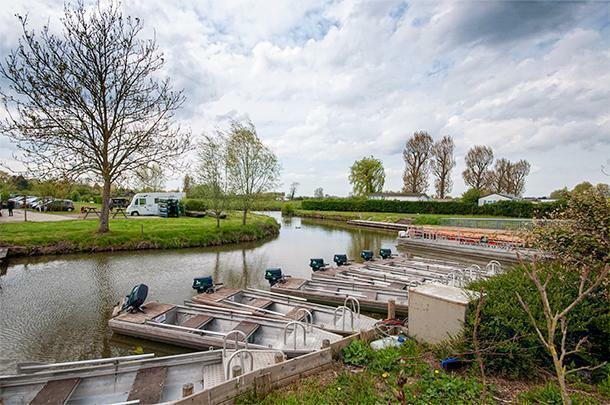 Do a guided boat tour with the company Isnor and grab lunch in their restaurant. 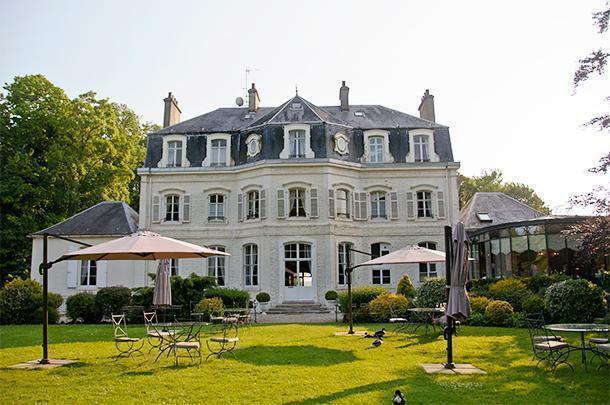 After lunch make your way to the Hotel Chateau Cléry for 2-3 nights of exploration of the Opal Coast. Have dinner in the hotel’s Restaurant Berthier and enjoy the hotel amenities for the evening. If you are pressed for time, the only essential on Day 6 is Vimy Ridge. This can be done on the way to Chateau de la Motte for a longer driving day. If you have more time, add a night’s stay in Arras or Lens and take advantage of some or all of our ‘detours’ in the area. 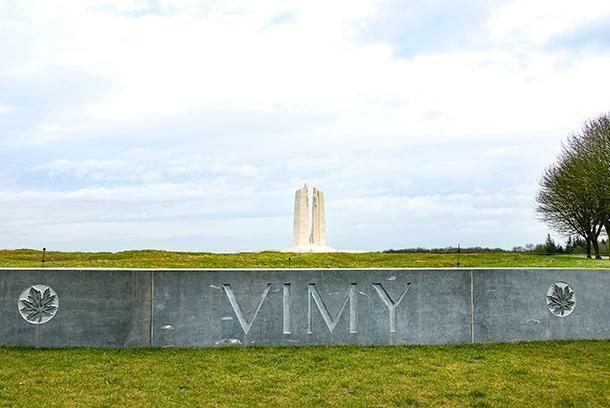 Drive to Vimy Ridge (1h 30m) Allow several hours to explore the memorial, museum, and trenches. 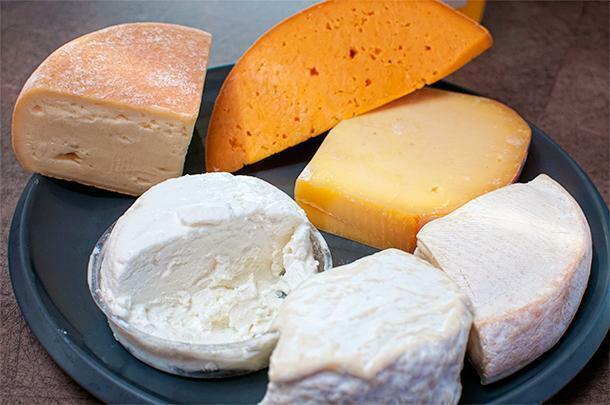 Follow CheeseWeb.eu – Slow Travel in Europe’s board Nord Pas de Calais Picardie France on Pinterest.We hope our guide encourages you to get off the motorways and explore this lesser-known corner of Northern France. We’d also love to hear your suggestions for the area. Leave them in the comments below.